Northwood House Charitable Trust Company Limited respects your privacy and will protect personal information we hold about you. Booking tickets to events, parking permits or membership and purchasing online is quick, easy, convenient and safe. We make every effort to maintain customer confidentiality when securing an online payment. This includes ensuring the security of your credit card details and other personal information. 1) Personal information like your name, address, telephone number, age, and email address and any other information that you provide to us when you register with us when you make an enquiry, purchase or provide feedback. Your information is stored on secure servers in the European Economic Area (‘EEA’). If we do store outside the EEA area, we will put appropriate controls in place to ensure your information is protected. You are responsible for ensuring that your information is accurate and kept up to date, and once registered on the website you can log on and update your contact details at any time. Contacting you (by email or post) with newsletters and information about future events. Please note that this will only be done if you have opted in to receive email communication. You can notify us at any time if you do not wish to receive these messages by clicking on the ‘UNSUBSCRIBE’ link or by contacting us. It can take up to 72 hours for our systems to update the change. 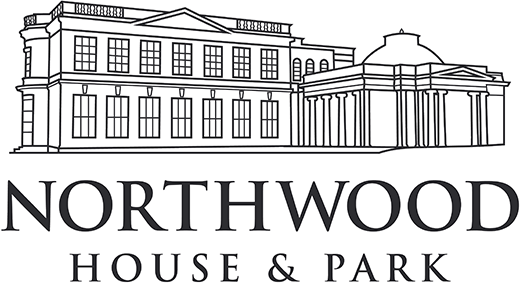 Facilitating bookings that you wish to make with organisations using Northwood House for their own events. We may conduct promotions, competitions or prize draws that you enter using the website, or via social media. We may invite you to complete surveys or provide us with feedback. Monitoring visitor traffic on our website and conducting analysis on the performance of our website so that we can make improvements. If you choose a credit card payment to complete your purchase, the information is encrypted and transmitted using secure socket layer technology (SSL/TLS). The payment provider Stripe, Inc. will process and store your credit card data. Your credit card details are not stored on our server. Payment data is is encrypted through the Payment Card Industry Data Security Standard (PCI-DSS). All payment gateways used on this website adhere to the standards set by PCI-DSS as managed by the PCI Security Standards Council, which is a joint effort of brands like Visa, MasterCard, American Express and Discover. We improve our website on an ongoing basis so there may be developments in how we use your data. All development will be notified to you in this policy. Your continued use of our website will signify that you agree to the changes. These cookies are set when you submit a form, login or interact with the site using our payment facilities. We also use some non-essential cookies to anonymously track visitors. You can switch off cookies by adjusting your browser settings to stop accepting cookies. Doing so may limit the functionality of most websites as cookies are a standard part of modern websites. If you are concerned about spyware consider using anti-spyware software that automatically deleting cookies considered to be invasive.